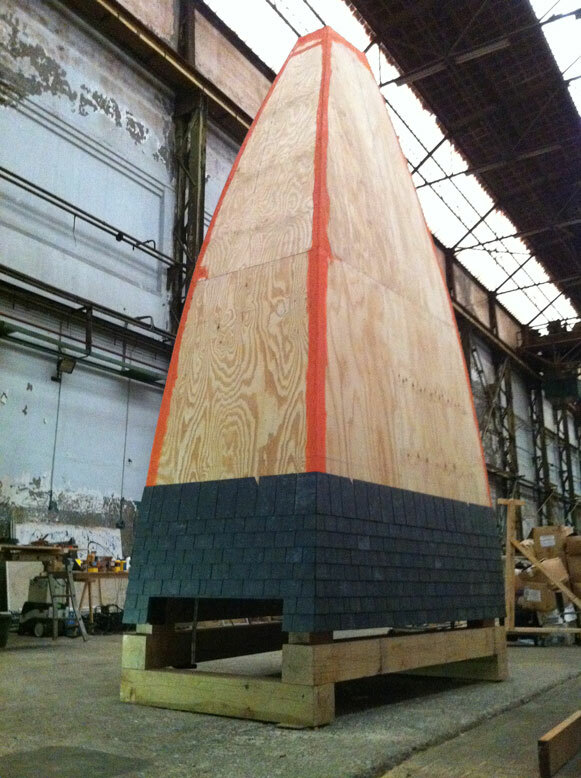 Ronald van der Meijs: Sculpture for Almelo city in its last face of production. Sculpture for Almelo city in its last face of production. 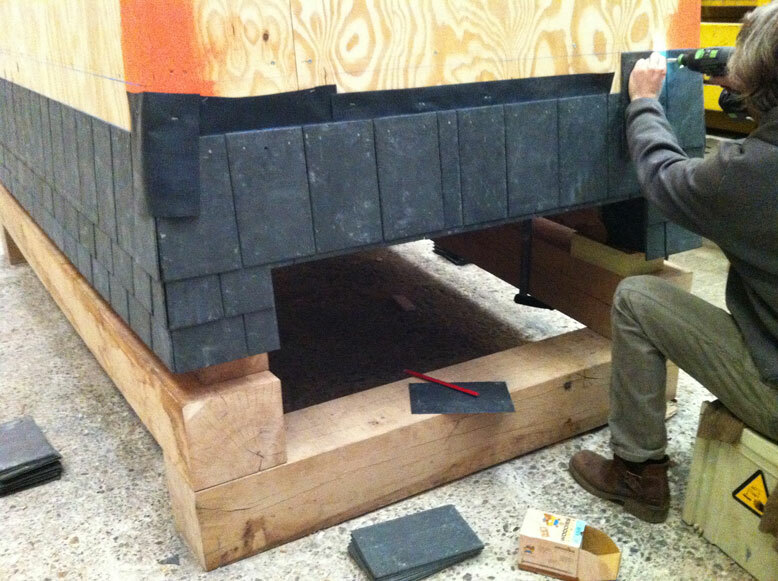 Here we are attaching the slates on the wooden construction. 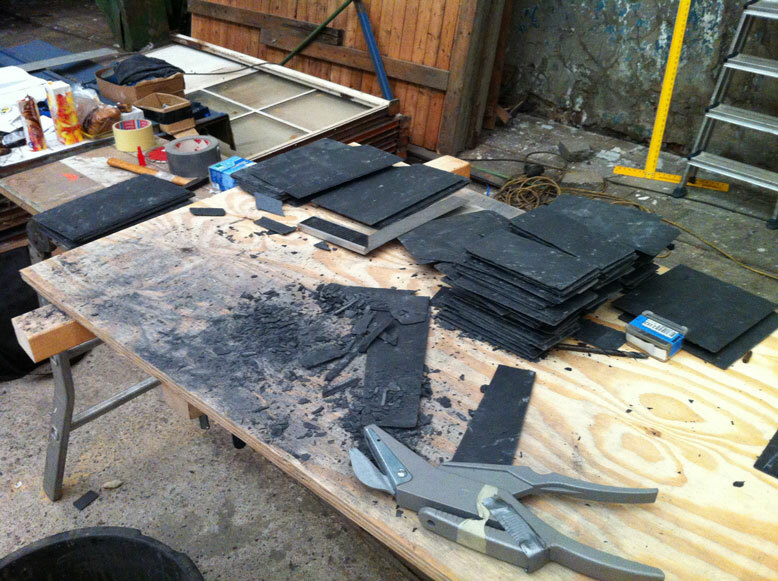 A lot of cutting to get the slates right on the curved corners.